The real reason behind the repeated phenomenon and how to react. The year kickstarted with a rollercoaster ride for Bitcoin and its other crypto friends. Despite its hopeful outlook at the start of a new year — reaching over $4,000 USD, the 2017 digital currency craze plummeted back to its lows at $3,500. Now it has never stopped fluctuating ever since in the exchange platform from $3,500 to $3,700. If you trace the trend back to Bitcoin’s peak period — late 2017 (the sunny day before the storm), its share price reached a record-breaking high of $19,346. But a few months later, Bitcoin plummeted to $5,967 and lost over 69% peak value. The value has been shaky for a while now. Bitcoin sets a trend: Soaring for each month and Plunging in the same breath. Bitcoin is fundamentally a currency, yet it is treated as a commodity. Investors and traders are constantly on the lookout to gain profits from exchanging them. As a commodity, the rule of basic economics became relevant to Bitcoin. Its price is simply driven by the demand and supply of the market. Therefore, a limited supply of digital currency and an overwhelming demand for it from investors and customers would naturally cause the high rise of bitcoins. 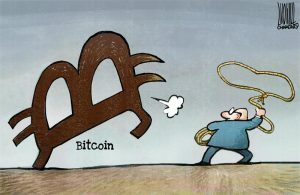 However the volatility level of digital currency seemed hyperbolic when compared to mainstream commodity market prices. The main issue lies in cryptocurrency’s lack of intrinsic value. There is no method of determining its total value because cryptocurrencies do not sell a product, create a revenue stream nor generate profits. Therefore, the major driving force of its value is market sentiment, which contributes mostly to Bitcoin’s intense fluctuation. Regulatory complications also added to the wavy trend of crypto market. As government bodies are starting to seriously legislate cryptocurrencies both domestically and internationally, prices ares significantly impacted by the rules and regulations surrounding their practices. News of potentially damaging regulations can hammer prices instantly, while loosening regulations may skyrocket its value. 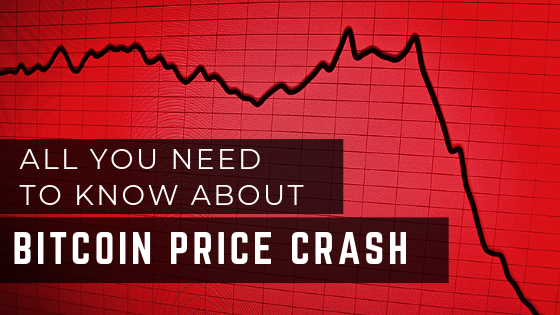 A look back at Bitcoin history of most iconic price crash is the best way to explain and learn its major causes. Here is a visual journey of when and how the Bitcoin price crash has went down in history. Extreme price spikes driven by buyers’ unsubstantiated hype and overconfidence led to the creation and expansion of Bitcoin bubble. Like a a floating bubble which eventually bursts and deflates, Bitcoin price crash becomes inevitable. New and potential regulations by authorities around the world create significant impact on the market’s action on the buying and selling of Bitcoin. Forks or cryptocurrency protocol updates shake the market’s outlook on the Bitcoin values and transaction. 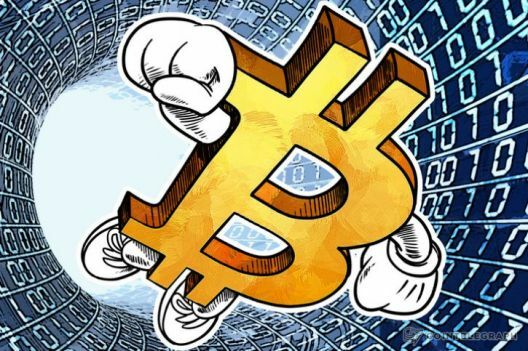 Media coverage on frauds, security issues and management scandals kept the public on its feet, reacting haphazardly with the slightest change of Bitcoin risk valuation. What to make sense of this? A look back at Bitcoin price crash in the last six years, which include rocky tumbles of 40% and even 50%, makes it clear the world’s most popular crypto-currency was — and is — extremely volatile. However ten years of the Bitcoin trend proves its resilience and prospective progress in the coming years. Each time people wrote Bitcoin’s obituary after the price crash, it is followed by the resurrection news after. It proved that it can even rose 6,300% from low to peak. Bitcoin has been living by a motto of “Expect the unexpected”. Despite the great many times of sudden price crash, Bitcoin or other leading cryptocurrencies have never lost its value proposition. Since early 2017, various media outlets have increasingly headlined topics ranging from institutional adoption to business innovation of blockchain technology — the system behind crypto trading. Bitcoin and blockchain market has never stopped evolving and will continue growing. The future is still filled with huge possibilities for the crypto world. Bitcoin is here to stay. With such volatility and uncertainty of the crypto world, it is inevitable for businesses and individuals to have an expert guidance over how to react from all the flooding information everyday. Principal Strategic eases your journey in the blockchain industry by providing expert consultation of blockchain technology and regular educational blogs about all things digital: business systems, marketing solutions and even crypto strategies. More importantly, the key to thriving in such an unpredictable market like cryptocurrencies is to constantly be updated with the right and credible sources of news. Principal Strategic keeps you informed by curating and posting regular news about business technologies and innovations on our social media channels. One of our viewers’ favorite content is our list of Top Blockchain Events 2019. Check it out now.